Bailey pulled in 16 percent of the vote, putting him in distant second behind Ted Wheeler. 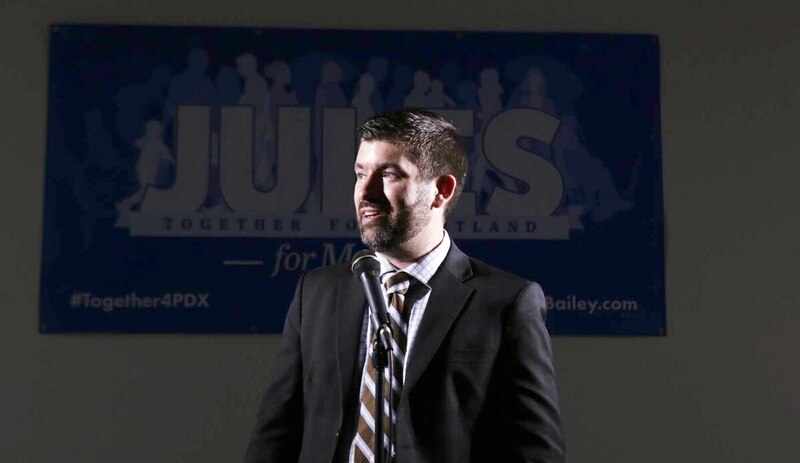 Jules Bailey will not advance to a November runoff for Portland mayor, according to early returns in the Portland mayor's race. "The numbers didn't work out the way many of us wanted," Bailey told a crowd of about 100 gathered in Old Town. "But there is a lot to celebrate tonight. We're here to celebrate the fact that we gave Portland a clear choice. That we gave Portland a debate, and that in doing so we pushed the conversation and the issues to a place where they would not otherwise have been." Bailey finished the race in second place but with only 16 percent of the vote, not enough to force Oregon Treasurer Ted Wheeler, who earned about 58 percent of the vote, into a November runoff. That is a result many people didn't see coming when Bailey declared he'd run. Bailey reordered the race on Jan. 9 when he announced in front of supporters what had been evident since November: that he would try to block Wheeler's waltz to the finish line. At that point, Wheeler had been in the race for four months and had already edged out Mayor Charlie Hales, who decided not to run in October. Bailey raised $220,000 in 2015 and 2016, even with his cap of $250 per individual or group. But Wheeler dwarfed Bailey's fundraising with close to $1 million in the same period. "I got into the race late," says Bailey, "and I got outspent." But that doesn't fully explain Bailey's loss. Portland voters typically aren't turned on by big war chests. In the 2012 mayor's race, the top fundraiser finished third in the May primary. Businesswoman Eileen Brady's nose dive had its roots in other problems, but big money probably contributed. In 2004, for example, voters sent former police chief Tom Potter to City Hall. He came in first in the primary, too, even though he limited individual campaign contributions to $25. Bailey had been expected to run a populist campaign a la Potter. He even skipped the $50 filing fee, opting to file with the city election's office by petition, with 100 supporters' signatures. 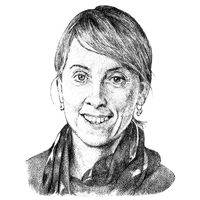 But Bailey's plan was upended by the entrance Jan. 21 of political unknown Sarah Iannarone, a PhD student and program administrator at Portland State University. Tuesday, Iannarone garnered close to 10 percent of the vote, according to early returns. Polls in late April and early May put Bailey distantly behind Wheeler with 8 or 9 percent of respondents saying they supported him. But his campaign insisted the polls were inaccurate and that he was gaining momentum. Bailey's mother, Ann Kopel, told WW on Tuesday night that the profile in WW about Bailey's evangelical Christianity cost him many votes, including those of her friends. She said it was inappropriate for the newspaper to highlight his religious life. Bailey, for his part, disagreed. "I think people appreciate having someone who has a moral compass," he says. Bailey brought a strong record of achievement from his time in the Oregon Legislature to the race. First elected in 2008, Bailey served in the House until 2014, when he jumped ship to join the Multnomah County commission. But he struggled to set himself apart from Wheeler, another white guy from Lincoln High School with Ivy League pedigree and state and county experience. The final days before the election illustrated this struggle. Wheeler made a splash—literally—by staging a "triathlon" to deliver his ballot to Pioneer Courthouse Square. Iannarone, poking fun at Wheeler's grandiosity, staged a three-block walk to drop off hers. Bailey earnestly delivered his to an East County library—an understated event that KGW described as not requiring "any sort of physical exercise." Bailey says his attention turns now to his job at Multnomah County, where his term as commissioner expires in December. He'll also spend time with family. "This is not the end," Bailey told supporters Tuesday. "This is an opportunity for all of us to think about how we can give back."